Your 3dcart Secure URL enables Fomo to import your recent orders. Sometimes this is the same as your Shop URL, but often it's different. Log into your 3D Cart store and click Settings > General > Store Settings. Copy the link in your Secure URL box. Note, this is not necessarily the same as your website URL. 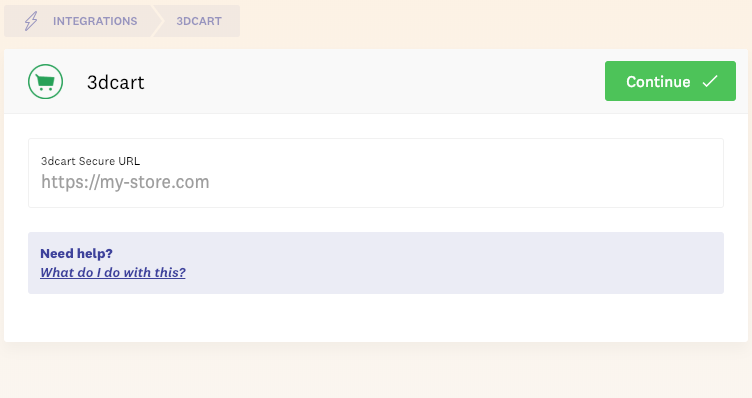 While logged into Fomo, visit Integrations > 3dcart and input your Secure URL. Follow this final guide to connect Fomo from your 3dcart store admin.